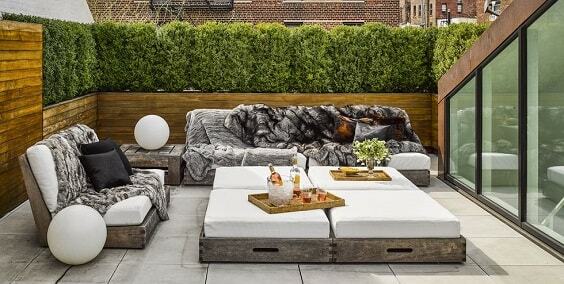 The pieces of furniture are the next thing that you have to consider when you have done building your patio. It’s such an essential element that you have to provide so you can enjoy a patio properly. In other words, you can’t have a patio without any chairs and table around since it’s such a spot which should be made as enjoyable as possible. 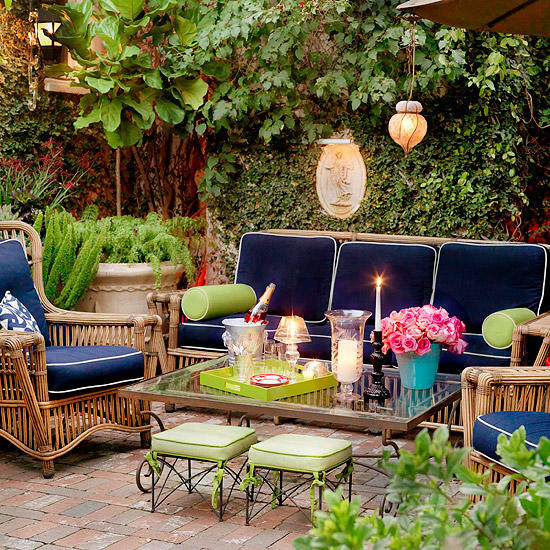 It’s absolutely necessary to add a comfortable sitting area to a patio. With lots of outdoor furniture available on the market, you can always buy the one that suits your needs, taste, and budgets. 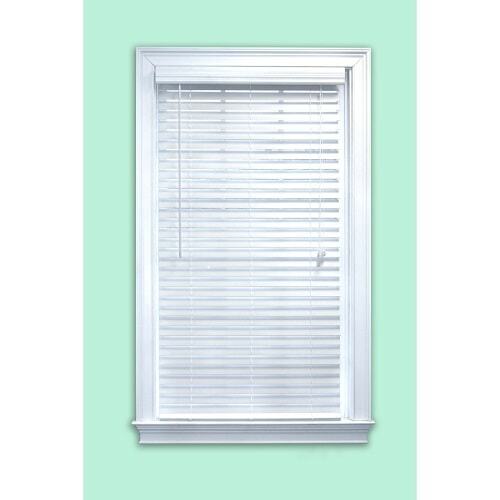 They are available in various designs and materials to enhance the function of your outdoor space. 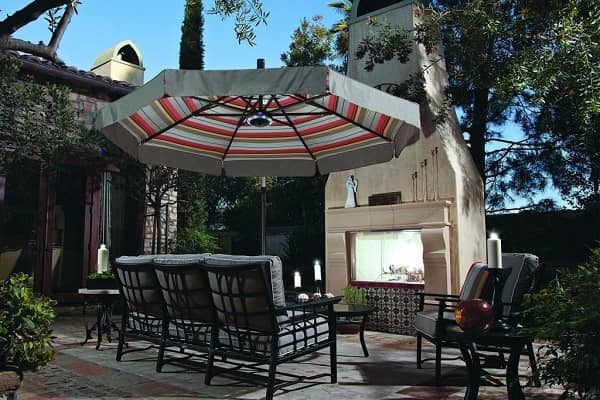 However, you may find it confusing to choose what kind of patio furniture which is right for you. 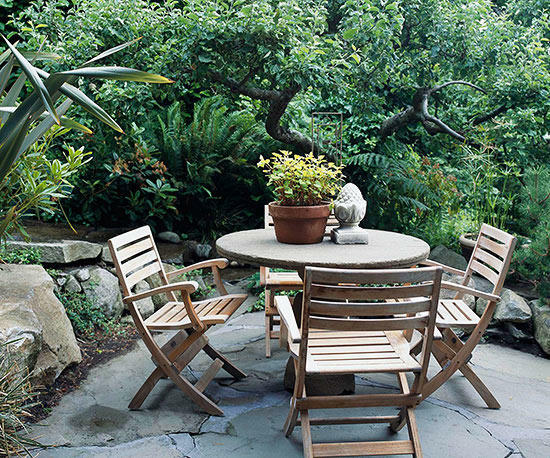 It’s so possible that you may end up buying some chairs and tables which don’t fit your beloved patio. Therefore, you need some sort of reference for how to choose the best patio furniture, how to arrange it properly, and so on. 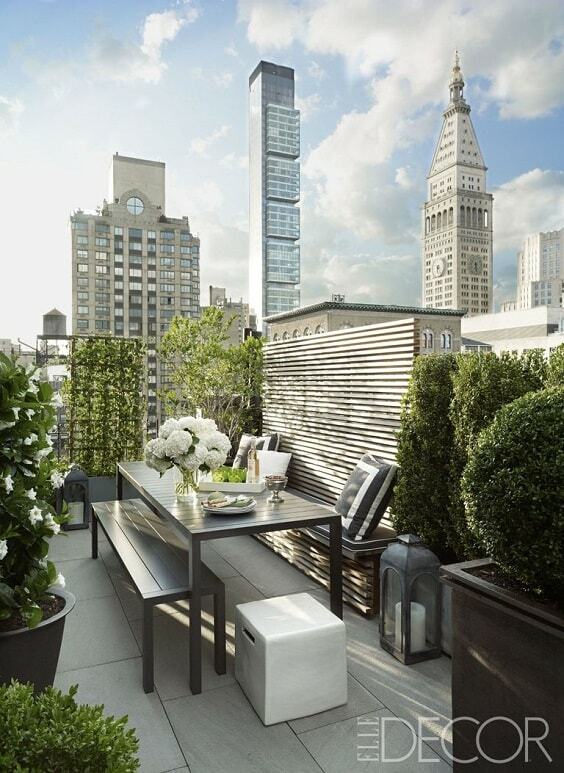 Some great inspirations will help you a lot to have a patio which looks and feel so inviting. That is why we have prepared some inspiring patio furniture ideas that you can use as the ultimate inspirations to decorate your patio. Let’s just keep scrolling to check them out! For sure, the deep chairs can provide the better comfort when you sit on, and they are so applicable to a patio. 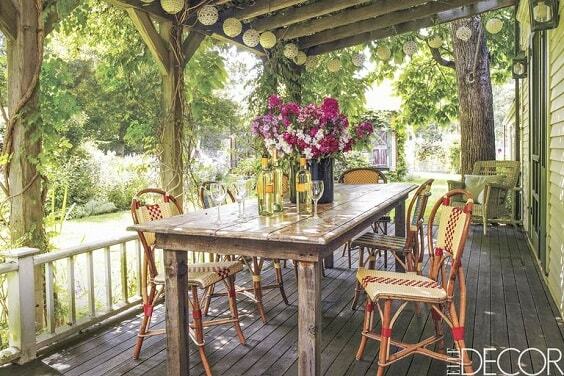 In this patio furniture ideas, the deep rattan chairs complemet a wooden table for its 7-piece dining set. 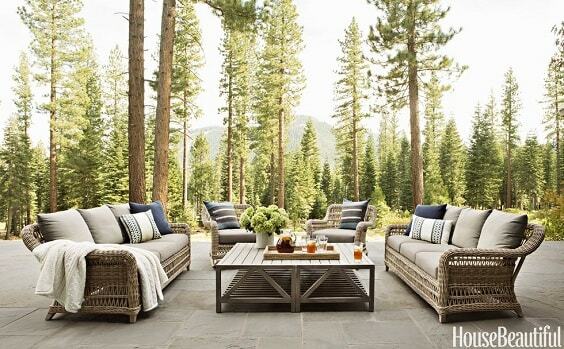 If you want to add a picnic vibe to your outdoor living space, try to use benches instead of those casual chairs. 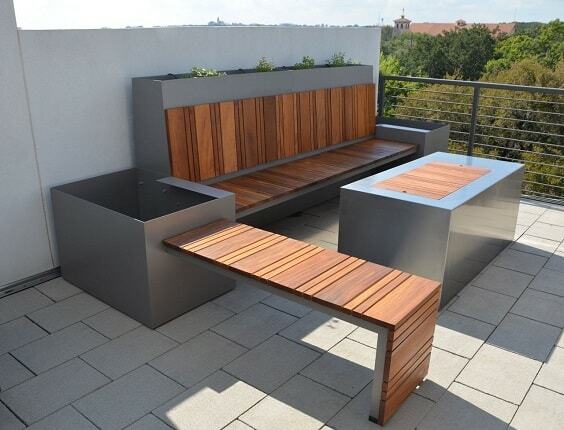 Here, the metallic benches and table in the grey finish make a simple patio look so fun in a very modern way. 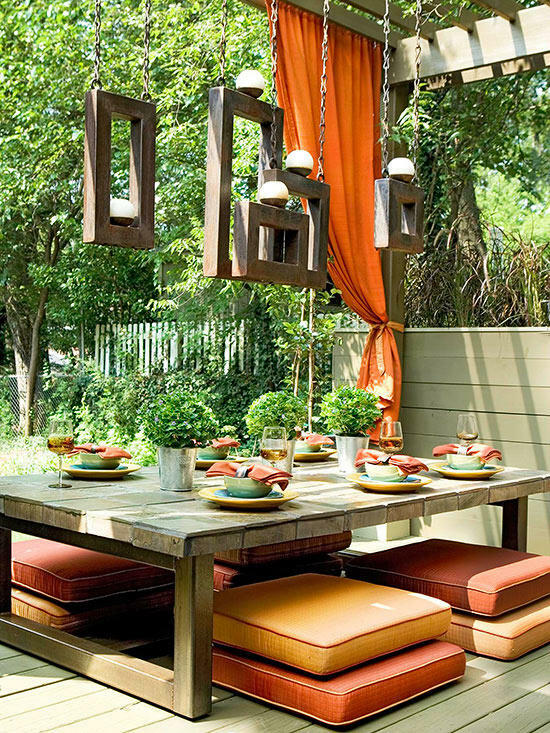 This kind of patio furniture ideas works well for you who have a limited space or as an additional seating area. The 5-piece conversation set which consists of small chairs and table are enough to provide a joyful intimate spot. 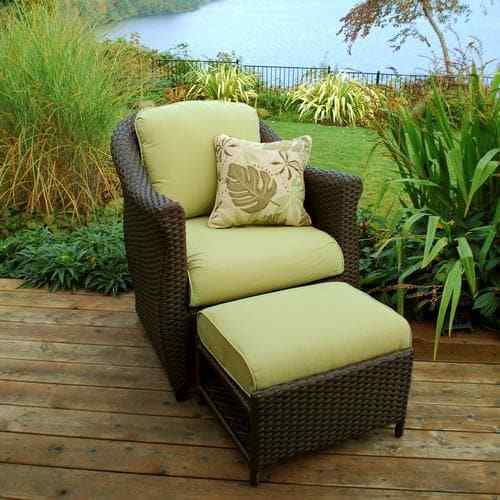 The simple patio furniture ideas which only use a rattan loveseat and small table which is best to enjoy for one or two. 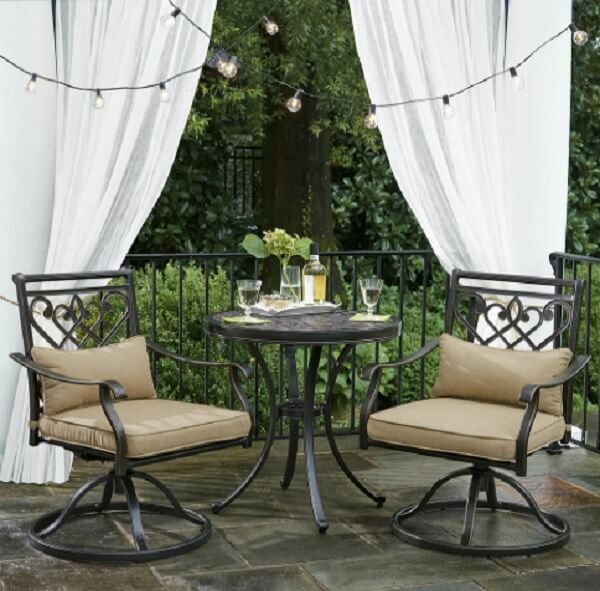 It’s a good inspiration to give a romantic spot to your very own patio. 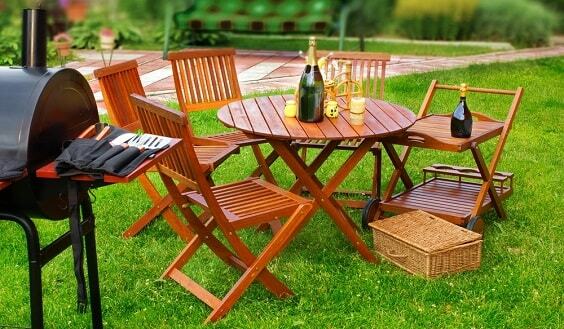 The full patio furniture ideas which will provide the great comfort for you and all the coming guests. These are the upholstered chairs, sofa, and storage ottoman with the durable iron frame which look so tempting to try. An inspiring patio furniture ideas for you who have a spacious space which consists of some sofas and a wide table. 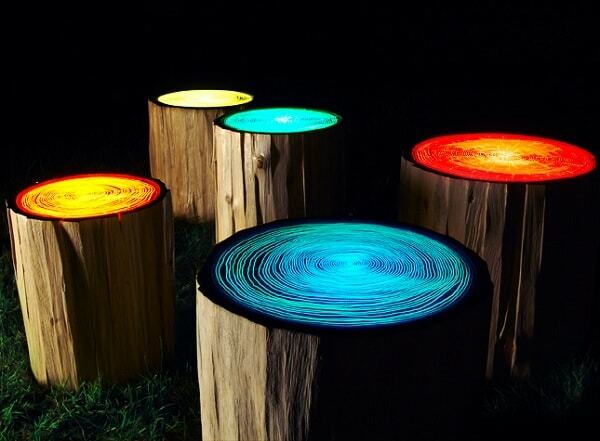 All of the pieces are made of natural materials which flow well with the outdoor surrounding. 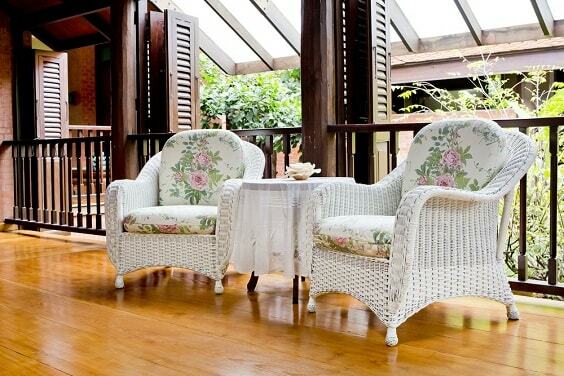 This one is an attractive patio furniture ideas which is made of rattan with the catchy accent. 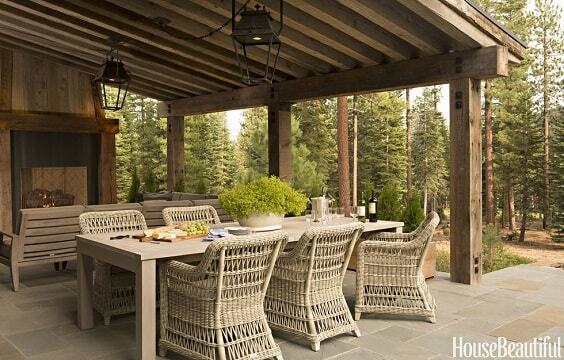 The dining table is made of the reclaimed wood which adds a beautiful rustic look to this patio’s décor. The beautiful combination of naturally finished frame and bold-colored cushions of this patio furniture ideas is so inspiring to try. 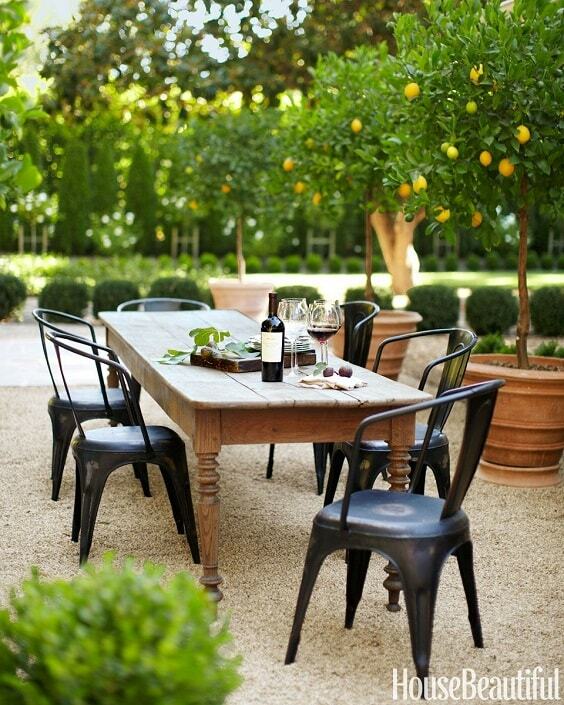 Then, a wrought iron table with clear glass top neutralizes the overall look of this patio. For you who are looking for a more practical patio furniture ideas, this one can be a good option to try. 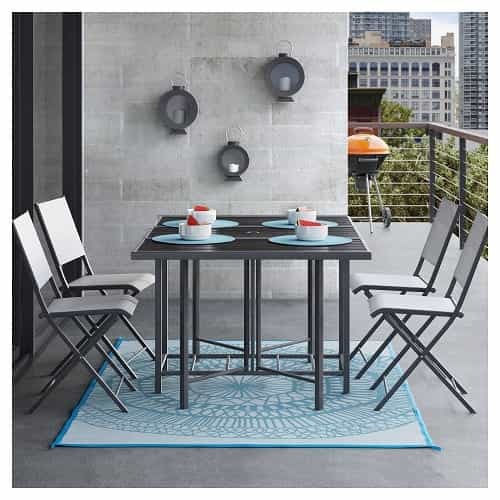 Moreover, the design of this small dining set will give such a playful atmosphere to your patio décor. Combining green and wood touch is such a good idea to create a beautiful natural look, just like this patio furniture ideas shows. 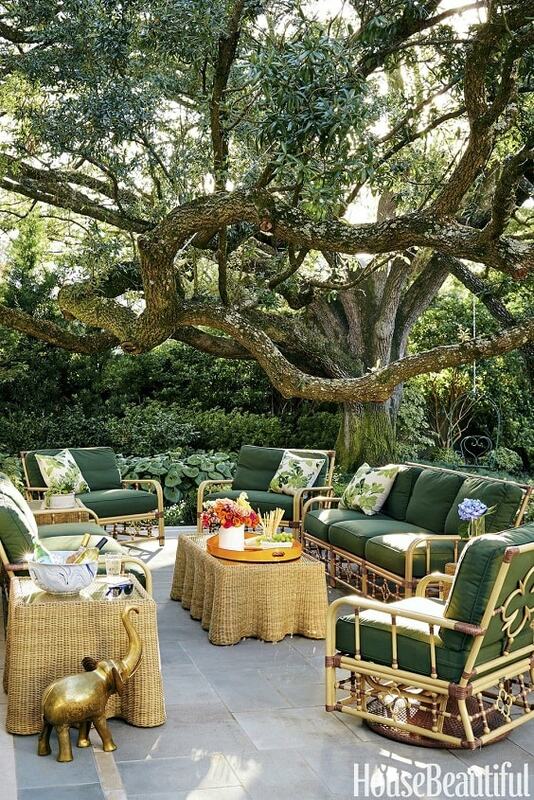 It combines the wood frame and green cushion for its sofa and chairs design which make this patio blend well with nature. 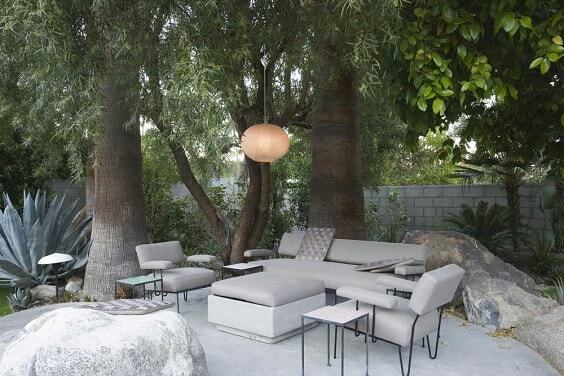 The contemporary furniture is always a good choice when you want to make your patio look more distinctive. This patio furniture ideas look so tempting to have with its unique design which also feels so comfortable to use. 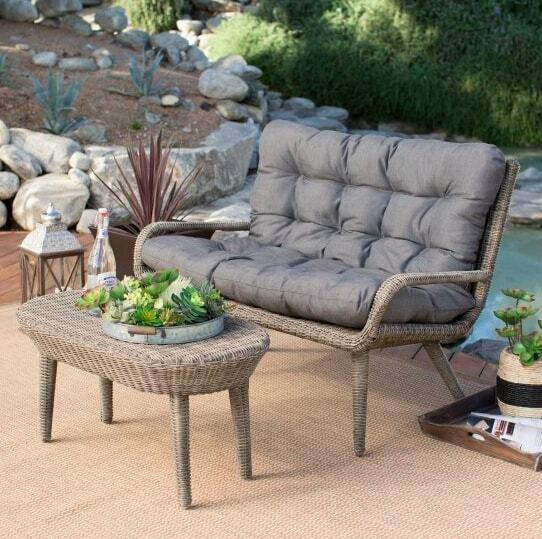 The cozy L-shaped sofa which looks so cozy to enjoy that is so worth to add to your patio furniture ideas list. It’s attached to a privacy fence directly which also works as its back. 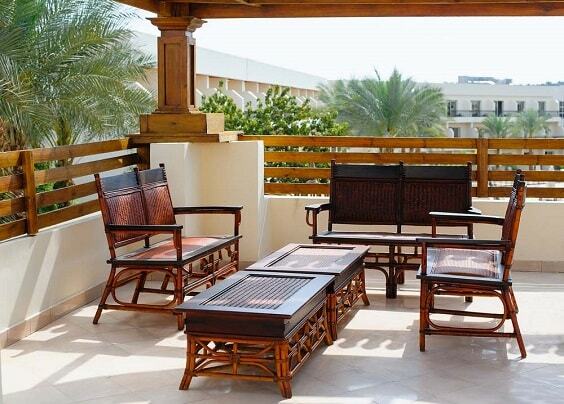 The beautiful mahogany set which includes three loveseats and two tables which will enhance the beauty of your patio. It’s designed in a traditional style which to add a more vintage vibe around. 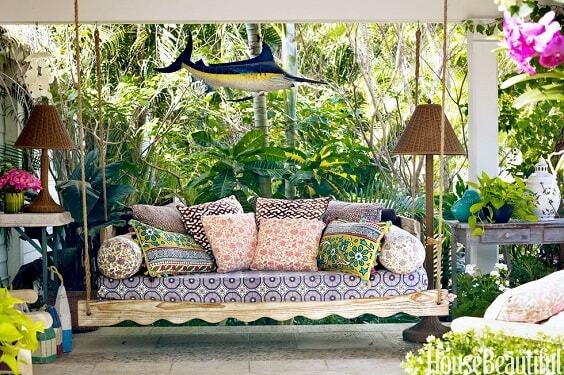 Combining the natural chair frame and colorful cushions is always a good idea to make stylish furniture. Here, the wicker chairs with light natural finish are paired with the bright turquoise cushion which makes them look so attractive. Adding a small bed to your patio furniture list sounds really get since you can get the maximum relaxing time. In this patio furniture ideas, a medium bed and small lounger complete the space to become the sitting and sleeping spot. 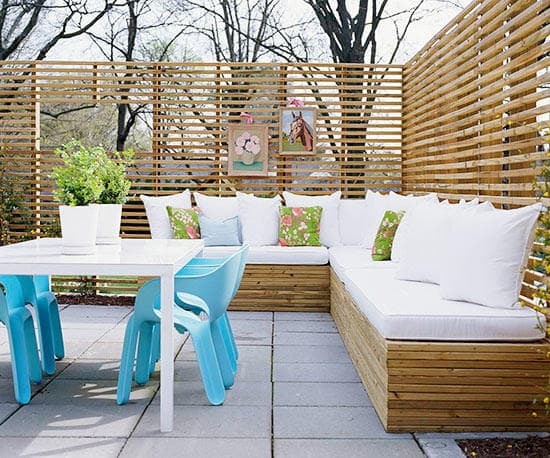 Forget those chairs if some cushions are enough to provide the comfortable seating area for you, just like this patio furniture ideas shows. The arrangement is inspired by the traditional Japanese living room which also works well for you who have the limited space. If those natural finishes don’t suit your taste, you can choose the ones which come in various finishes. 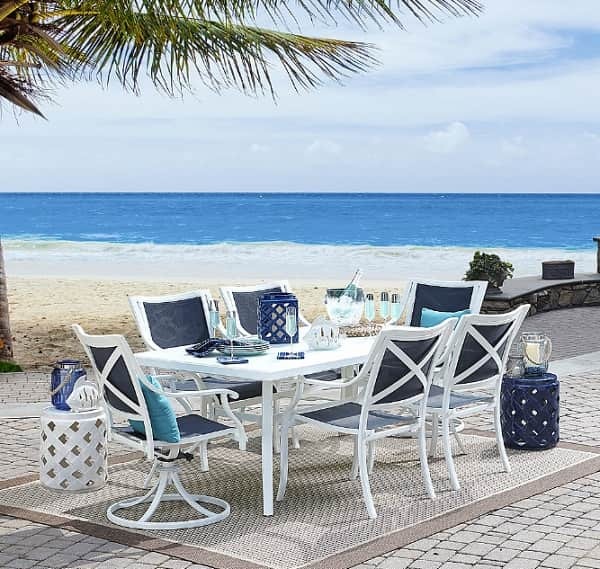 This wicker outdoor conversation set look dazzlingly beautiful with its all-white finish and floral cushions which can be one of the good references for you. 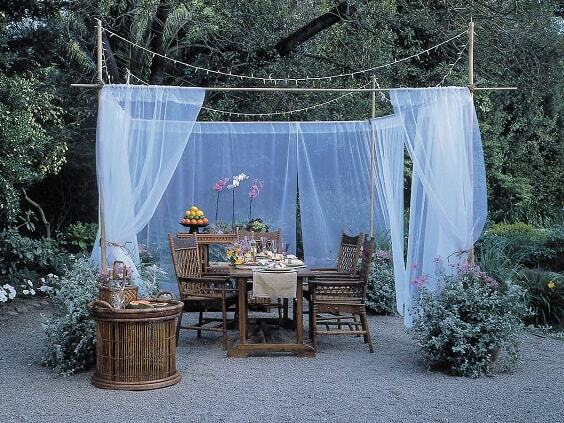 Combining two different materials for your patio furniture is such a considerable way to create an attractive layout. Here, metal chairs in industrial style complement the rustic wood table which is so simple to try. Another timeless home décor style that you can choose to decorate your patio is the mid-century style, and this patio furniture ideas shows how to apply such look very well. It blends the mid-century chairs with the rustic dining table, creating a rustic and classic décor beautifully. 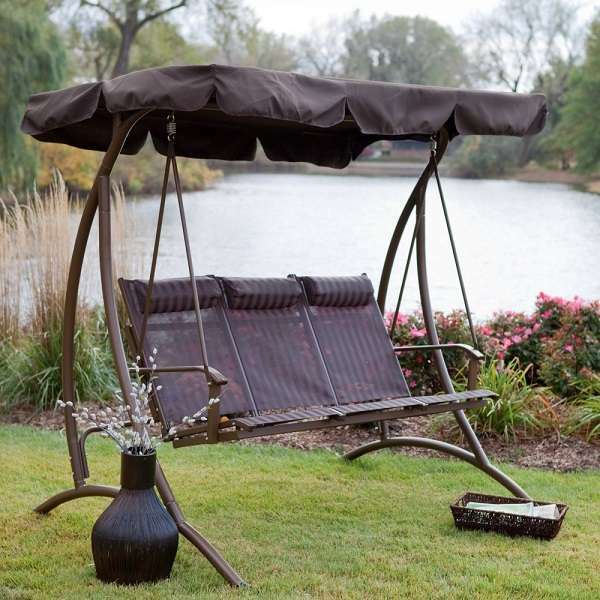 The chairs, sofas, or even beds may sound too boring to decorate your patio, then the swing bed can be a fun addition to make your patio feels more exhilarating. 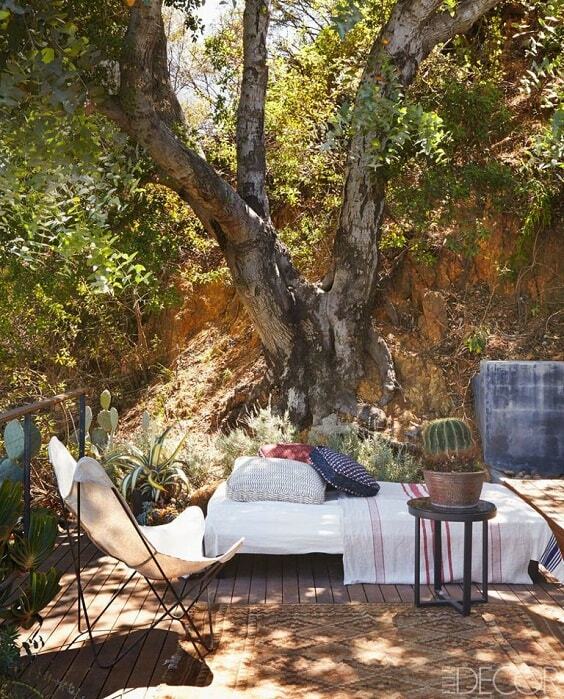 This swing bed looks so attractive with its combination of rustic frame and decorative cushions. So those are some inspiring patio furniture ideas that you can use as the best references when you are about to decorate your very own patio. 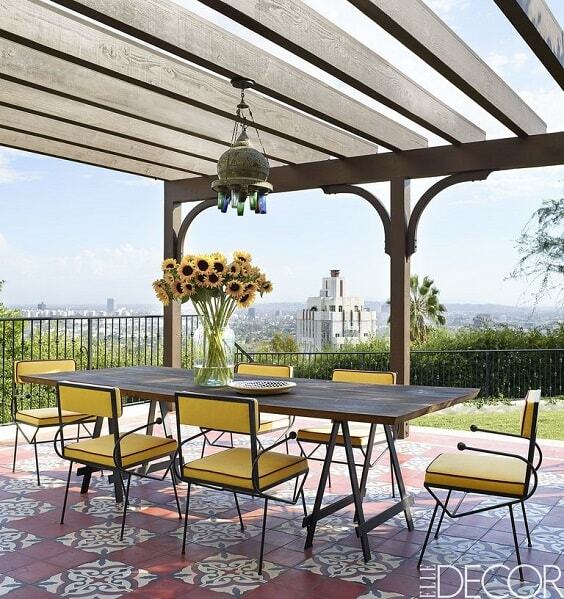 The mixture of colors, materials, design and the arrangements of those patio furniture ideas are so worth to copy to create an inviting outdoor space. 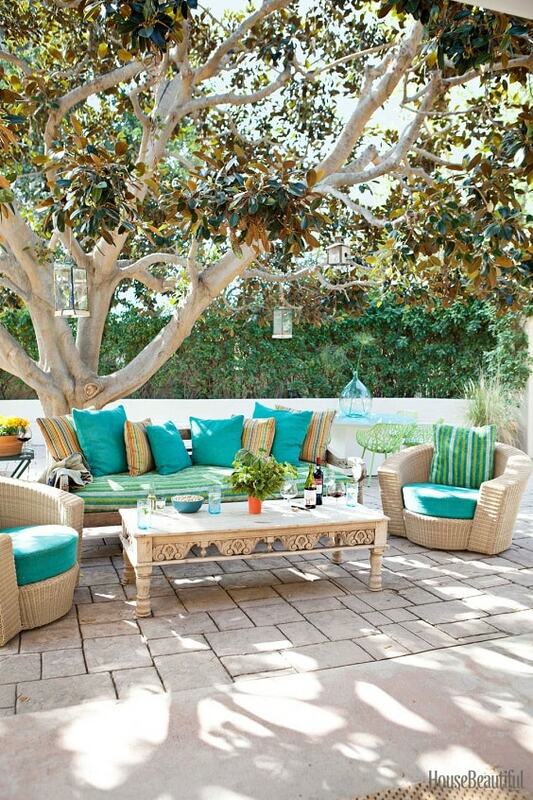 Keep in mind to always create a nice harmonious look so you will have a patio everyone will love. Moreover, determine the numbers of the sitting area that you have to provide so all the coming guests can enjoy your patio properly. 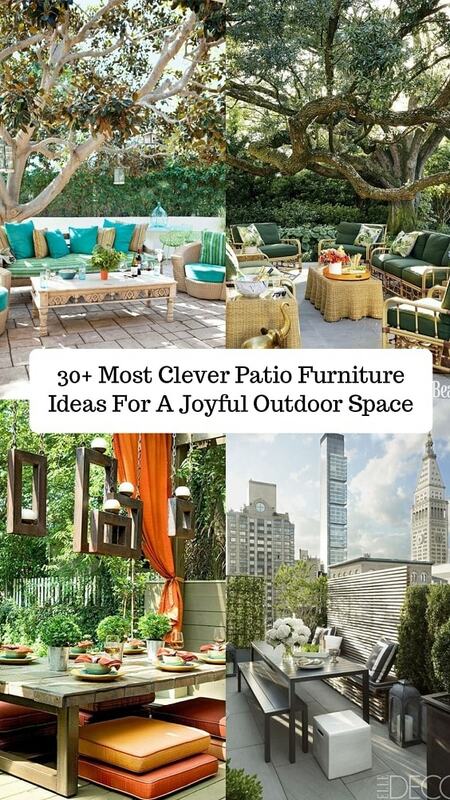 Well, happy decorating your beloved outdoor living space now!